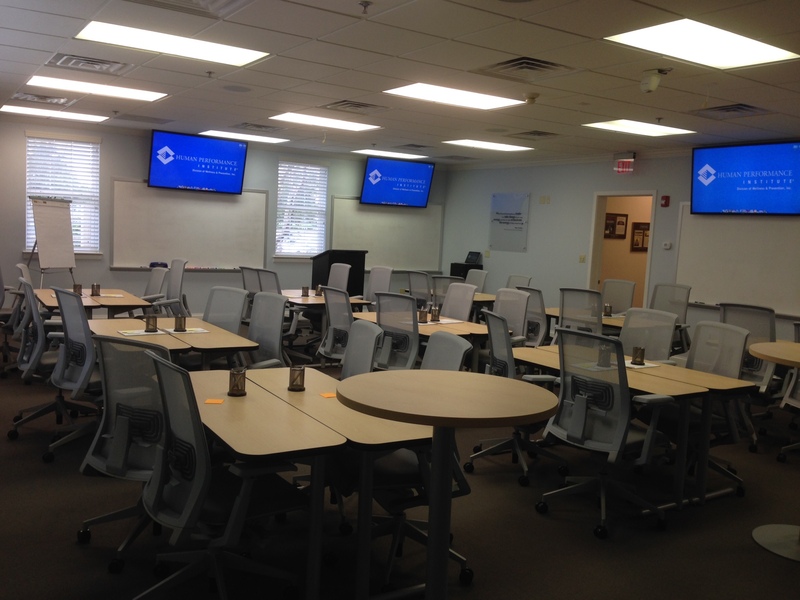 Human Performance Institute has partnered with Encore Broadcast Solutions to design and install their AV system in their new state of the art classrooms. They offer intensive training programs grounded in the sciences of performance psychology, exercise physiology and nutrition focused on expanding and managing individual energy capacity both at work and at home. 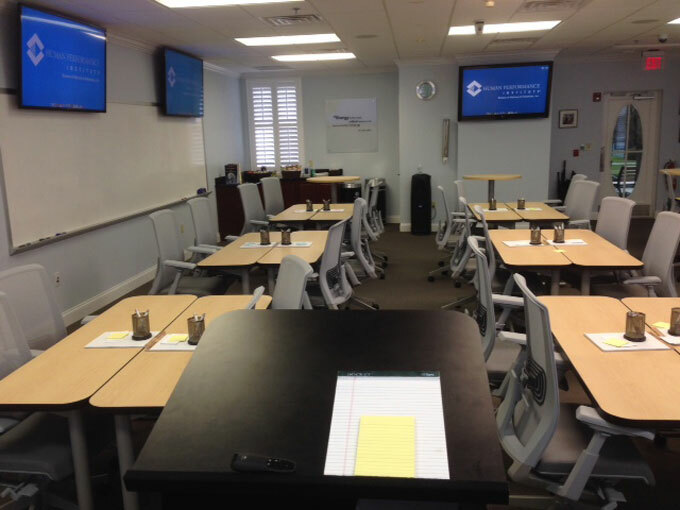 Encore understood the vital importance of their audio visual impact and how a seamless, easy to navigate system was necessary to provide the superior classroom experience. We were contracted to design and reinstall their system from existing outdated technology to new rooms that had a larger, modified layout. Encore worked in conjunction with the architects and engineers to design the infrastructure to accommodate this change. 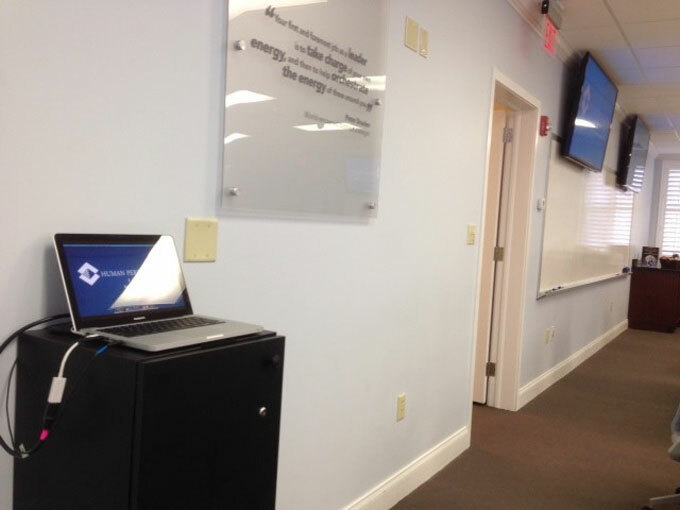 Our installation of each classroom consisted of one Kramer HD video scaler with a computer as well as Analog SD video signals and Apple TV device. These inputs provide total flexibility to the coach or instructor to present their graphics and video material onto various LED displays around the room. Audio ceiling speakers throughout the room enhance students’ comprehension of playback materials shown via internet or instructor. Also, one camera at the center of the room captures the sessions onto DVD recorders for further evaluation to improve quality and training for future coaches and instructors. 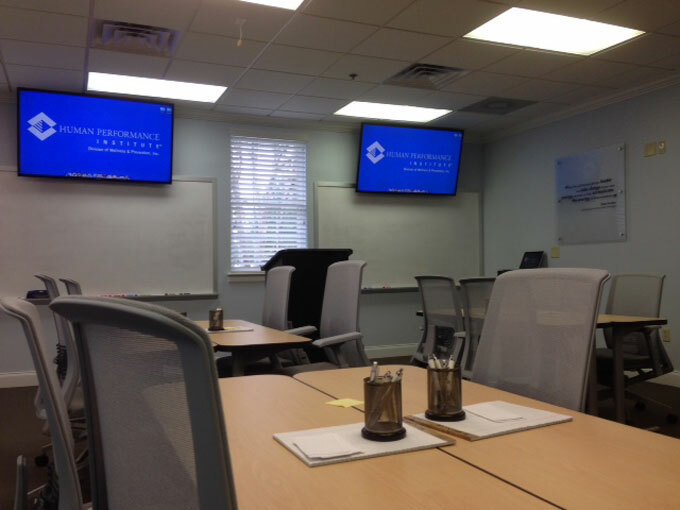 The increasing success of their updated classroom facility has allowed Encore to continue to work with Human Performance Institute on future projects as they expand their capabilities and customer base.